Toyota Motor president Akio Toyoda, shown here in an image from 2010, announced Friday that the company is bringing Lexus production to Kentucky, adding 750 jobs. Toyota will move some of its Lexus production to its plant in Georgetown, Ky. -- a move which is expected to create 750 new jobs, the company announced Friday. Toyota Motor (TM) President Akio Toyoda announced that the company would build the Lexus ES sedan at the Kentucky plant where Toyota currently builds Camry, Camry Hybrid, Avalon Hybrid and Venza models. "Lexus was founded in the United States, so it is only fitting that we are bringing the production of luxury sedans for our U.S. customers back to where the brand was born," said Toyoda, in a press conference. The company does not currently build any Lexus models in the United States. It plans to begin making Lexus cars at the plant in 2015, adding 50,000 vehicles per year to the factory's production. In a bid for the expansion, Kentucky gave Toyota nearly $150 million in state and local tax incentives, according to state documents. The company said it is investing $360 million in into the factory. Jim Lentz, chief executive officer of Toyota USA, told CNNMoney that the driving force behind building the Lexus ES in the U.S. was the tsunami that devastated part of Japan in 2011. He said the company can't afford to have another major manufacturing disruption like that. Adding ES production in the U.S. gives Toyota the option, should anything happen to stop production in Georgetown, of looking to Japan to continue the supply of cars. The Kentucky plant will produce about 50,000 Lexus ES sedans annually, supplying almost all the Lexus ES cars to be sold in the U.S. Hybrid ES cars and only a few non-hybrid cars would continue to be imported from Japan. Kentucky's state unemployment rate currently stands at 7.9%, slightly higher than the national average of 7.7%. Scott County, where the plant is located, has an unemployment rate of 7%. 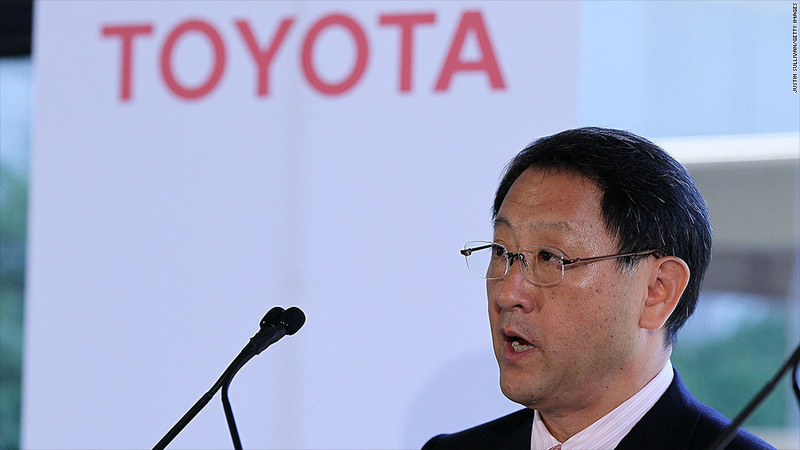 The plant is located on a 1,300-acre plot, and has a capacity to build 500,000 vehicles and engines, making it Toyota's first and largest factory in North America, according to state documents. CNNMoney reporter Peter Valdes-Dapena contributed to this story.